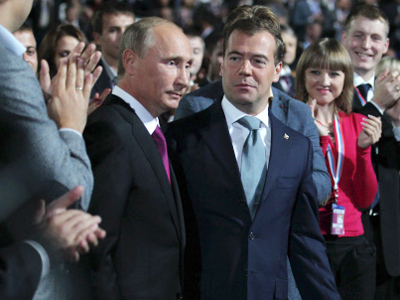 Russian opposition leaders promptly and negatively reacted to Dmitry Medvedev’s proposal of Vladimir Putin as the 2012 presidential candidate from ruling United Russia party. Head of the Fair Russia party Sergey Mironov said that he did not really expect the decision to nominate Putin for presidency. "I certainly expected some news at the United Russia congress, but I didn’t expect exactly this to happen,” Mironov stated. 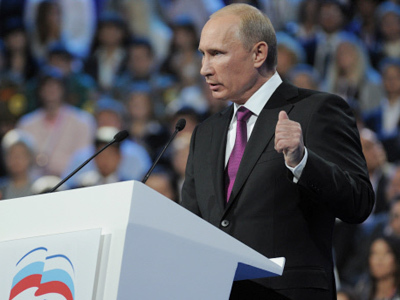 He also stressed that his party was not going to and will not support the United Russia presidential candidate. "We will continue to criticize the government's actions, because everything in the country is going the wrong way, and it is United Russia's monopoly that is to blame for that," he said. 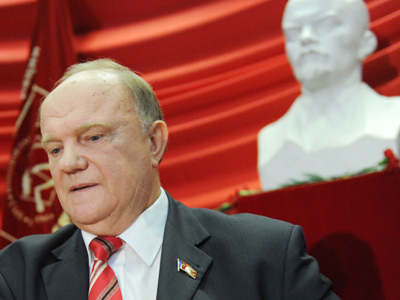 Gennady Zyuganov, leader of Russia’s Communist Party, does not believe that this tandem shuffle will help United Russia to get more votes in the parliamentary elections. 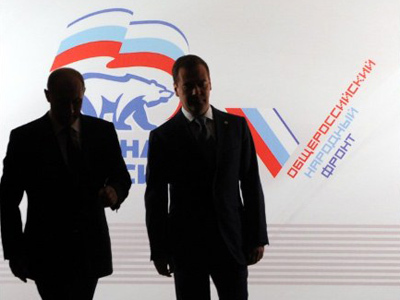 Vladimir Zhirinovsky of the Liberal-Democratic party and parliament’s deputy speaker said it was predictable that Medvedev was going to lead United Russia in the parliamentary elections and Premier Putin to become the presidential candidate. “It is good that their team has finally made a decision, because this lengthy uncertainty was making people somewhat nervous,” he said. Zhirinovsky stressed that this revelation has no effect on his party, saying that their own pre-election lists are more important to him and the Liberal-Democratic party than those of United Russia. 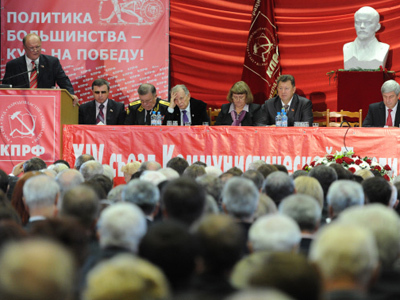 Yabloko’s leader Sergey Mitrokhin was very critical of the tandem’s decision and stated that his party’s position will not change and their main target is getting a faction in the state Duma. If this target is reached Yabloko plans to present its own presidential candidate so that the people of Russia will have an alternative to Mr. Putin. “Modernization in the modern world is first of all a renewal of power. The shuffle in the tandem in not renewal and has nothing to do with modernization,” he is quoted by Interfax as saying. RT political analyst Peter Lavelle says that this decision is an indication that United Russia did not expect very good results in the parliamentary elections and had to do something now, to get the super-majority of votes they want. 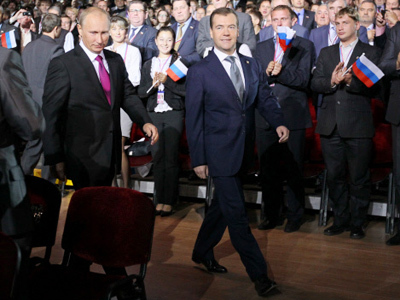 Lavelle says that people want Putin to shake up some of the leadership of United Russia.